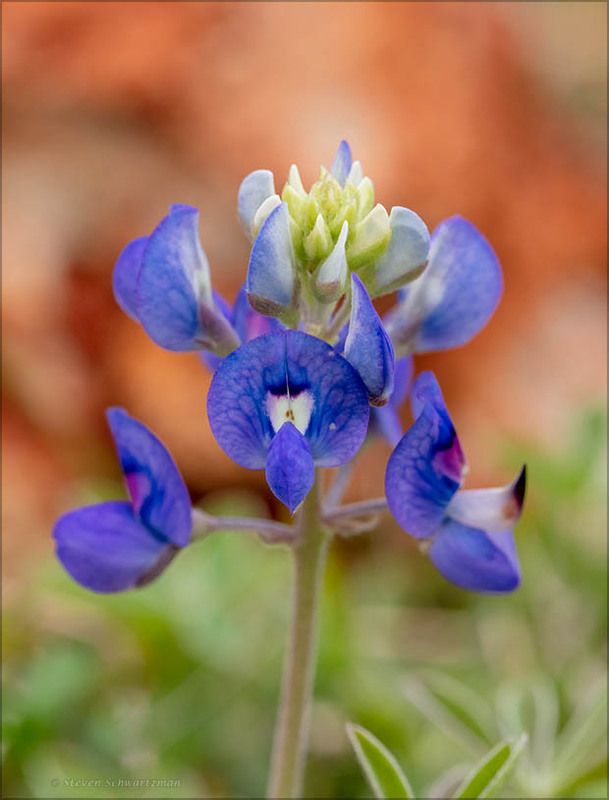 Earlier this week I heard on a local television news channel that some bluebonnets (Lupinus texensis) had already flowered along the Capital of Texas Highway near the Arboretum. Yesterday I followed up that lead and, sure enough, there were the bluebonnets. Despite the overcast sky and the wind I took lots of pictures, picking varied stages of development and of course varying my compositions. I chose to show this picture because of the orange-brown rock in the background, which added a novel touch, at least in my experience. As I see it, color carries much of the weight of the picture, and only the flower parts in the upper center of the photograph are in focus. 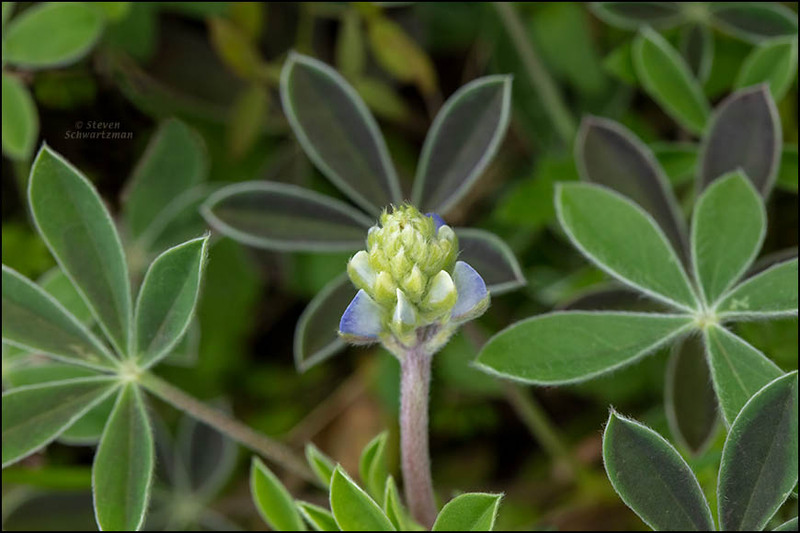 Below is another use of selective focus, this time on a developing inflorescence.